Littlest Music Makers - Spring Session begins March 29th! We're so glad that you're here! 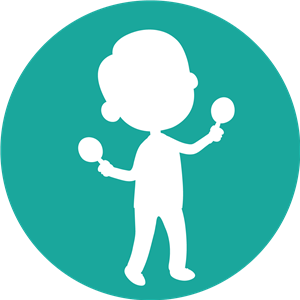 If you love music and want to introduce your child to that same appreciation–while having a lot of fun along the way–our classes are for you! Our Music Together® classes are a wonderful mix of singing, playing instruments, dancing, finger plays and just the right touch of whimsy. For Children from Birth-Preschool/age 5. 2019 10-week Spring Session begins March 29th. First Child $193, Second Child $80, under 9 months with a registered sibling: no cost. Copyright © 2019 Littlest Music Makers, LLC.. All rights reserved.